I am super excited to attend Fiesta de la Flor this coming April as an official vendor at El Mercado!!! 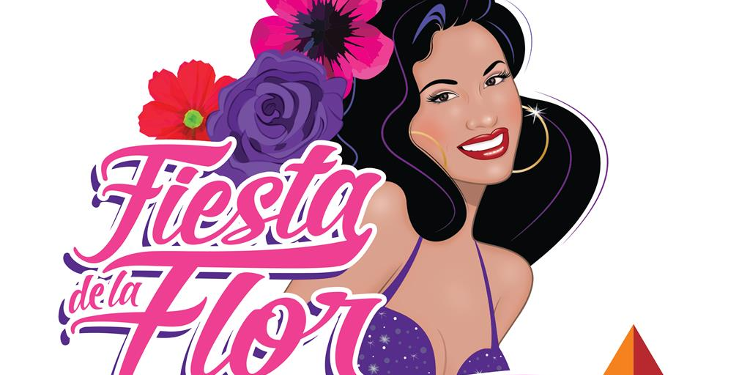 Visit Corpus Christi and CITGO are proud to present the 5th annual Fiesta de la Flor signature festival honoring Tejano music superstar Selena Quintanilla. This event will be held at North Bayfront Park in downtown Corpus Christi on April 12 - 13, 2019. The festival will include great music, food trucks, a Kids Zone and a Mercado that includes more than 80 artisan vendors including yours truly! A grand fireworks finale show will wrap up the festivities on Saturday night. On Friday, April 12th enjoy music by Multi Grammy-Award winning artists such as Little Joe Y La Familia, Gilbert "Gibby" Velasquez and Friends (David Marez, Joe Posada, Ram Herrera, Ricardo Castillon, Oscar G., and Stevie D.) and Corpus Christi favorite JonMikael Mrez! On Saturday, April 13th, enjoy non-stop entertainment from pop music sensation Leslie Grace, Jay Perez, Mariachi Campanas de America, Erick Y Su Grupo Massore, Jenny and the Mexicats, Raulito con Grupo Remedio, Lucky Joe and JonMikael Mrez. The festival also will feature One Person Unites Us, a sit-down conversation with Suzette Quintanilla, president and CEO of Q Productions, American singer, actress and TV personality Adrienne Bailon. Bailon known for her singing with 3LW and the Cheetah Girls, currently is one of the hosts of syndicated talk show The Real. El Mercado presented by Herrman and Herrman, PLLC, Attorneys At Law, features over 80 artisans from Mexico, Central America, South America and within the United States. El Mercado will be strategically located inside and outside of the spacious American Bank Center to showcase the art, clothing and accessories crafted by the talented hands of the national and international artisans. Herrman and Herrman has been a staple of the Coastal Bend for nearly two decades and they are excited to give back to the community that they serve through this festival. I am so excited to be heading to Corpus Christi and to have a booth selling Jefita Bonita and SpoiledLatina Merch!! Looking forward to meeting my fellow SpoiledLatinas and celebrating the life of our Queen! Fiesta de la Flor will have a VIP ticket experience for festival attendees. At $100, VIP ticket holders will get a VIP ultimate collector’s edition badge, exclusive Fiesta de la Flor VIP branded wristband, FDLF merch, a VIP FDLF branded water bottle, access to a VIP-only festival merchandise tent, access to a VIP-only beverage station, access to a VIP-only chill zone, special seating 1 hr before “One Person Unites Us”, line jumping all FDLF lines through the duration of the event and 1 hr early entry into the festival both days...and of course, 2-day admission into Fiesta de la Flor! Purchase your VIP ticket for $100 today to secure your spot. There is a very limited quantity of VIP tickets for sale, so make sure you grab yours before they sell out! Fiesta de la Flor will be held at North Bayfront Park in downtown Corpus Christi. Festival gates will open at 5:30 p.m. Friday, April 12and at noon on Saturday, April 13. Tickets will be available for purchase at Eventbrite.com. Fiesta de la Flor offers a 2-Day Pass at $25 through Thursday, April 11. Individual day tickets for Friday and Saturday will be sold for $15 each through Thursday, April 11. On Friday, April 12, only individual day tickets will be available at the increased price of $20 for each day. Festival attendees may purchase tickets in person starting March 1 at select H-E-B Business Centers across the state.